Cupri sells Burning Crusade timewalking items. 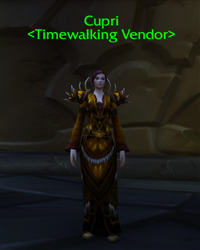 Her counterpart is Auzin , who sells the Wrath of the Lich King timewalking items. 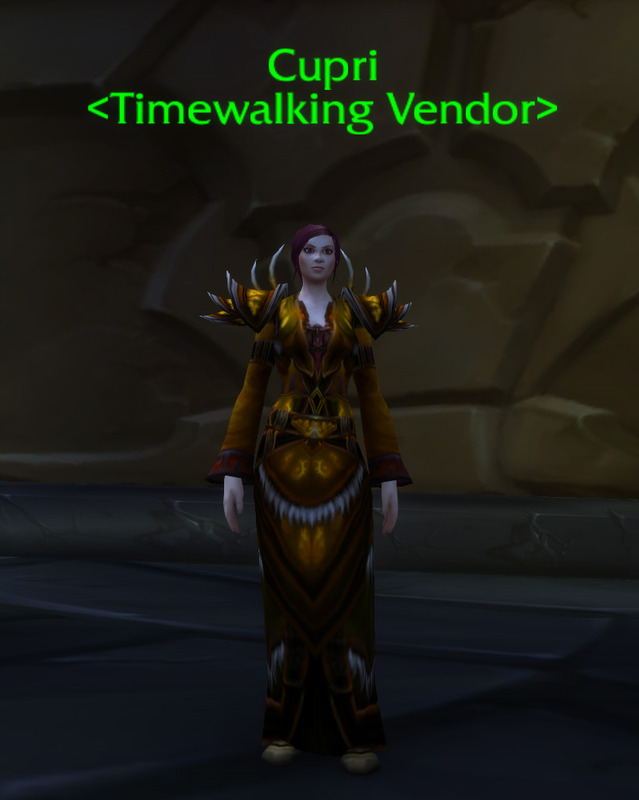 The Cataclysm timewalking vendor is Kiatke, who is located near the Cataclysm zone portals in both Orgrimmar and Stormwind.